Have you made the perfect pancakes? Perfect meaning tall and thick, fluffy and light on the inside while evenly golden on the outside with the tiny hint of crispness. I learn quite a few tricks from my baking experience to achieve this kind of texture such as folding stiff peaks egg whites to batter, adding carbonated beverage or simply use a double-acting baking powder and let the batter sit in the fridge for several hours before being cooked. 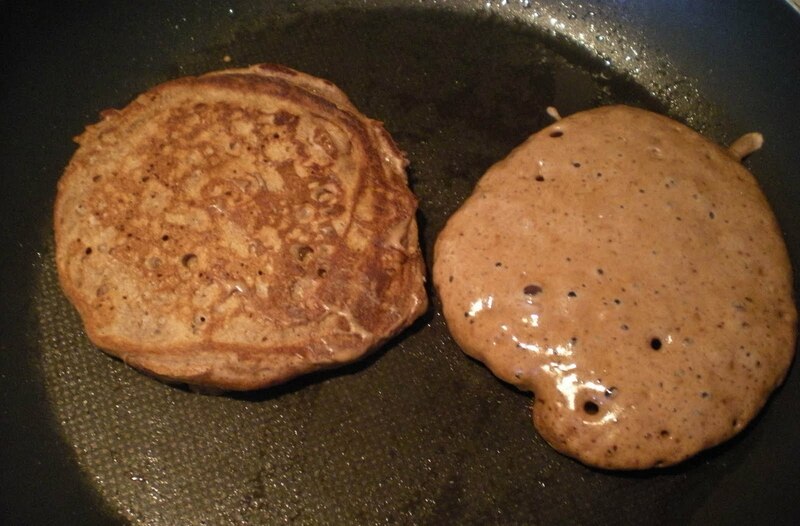 These tricks help form bubbles in the batter for a very light and airy pancakes, otherwise it will be flat and dense. Recently, I was introduced to pikelets which are mini unsweetened pancakes, usually served with jam and whipped cream. I found a few pikelet recipes requiring a fair amount of cream of tartar, about 2 teaspoonfuls. I was very sceptical of this large quantity as usually, when baking cakes, I only need 1-2 pinches of cream of tartar to stabilize the egg whites. I look through Wikipedia, and surprisingly enough, cream of tartar is an acidic powder and it has more utilities than simply stabilizing egg whites. 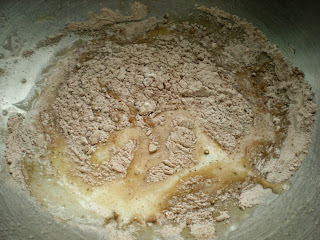 It also activates the baking soda when folding cream of tartar which help form bubbles in the batter. Try it out! I can guarantee you that they are even fluffier and airier than your usual pancakes. 1. 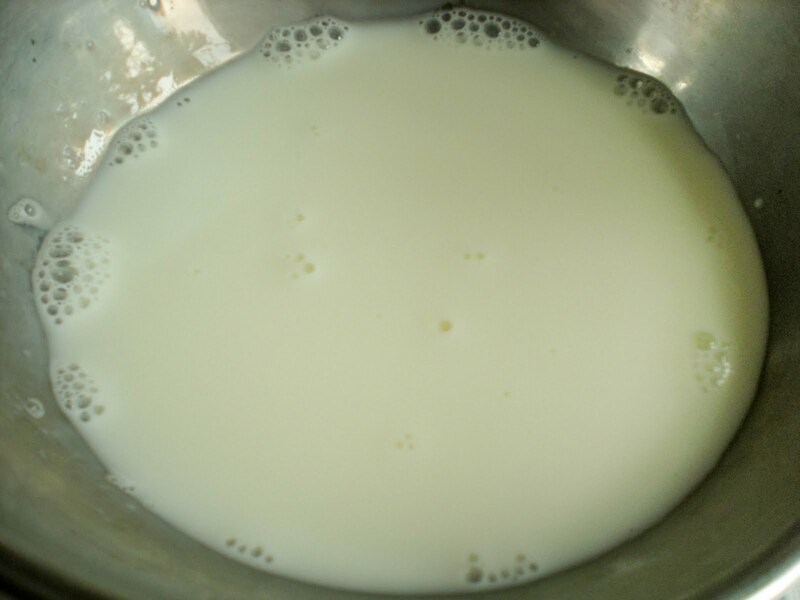 In a small bowl, dissolve baking soda in milk. Set aside. 2. 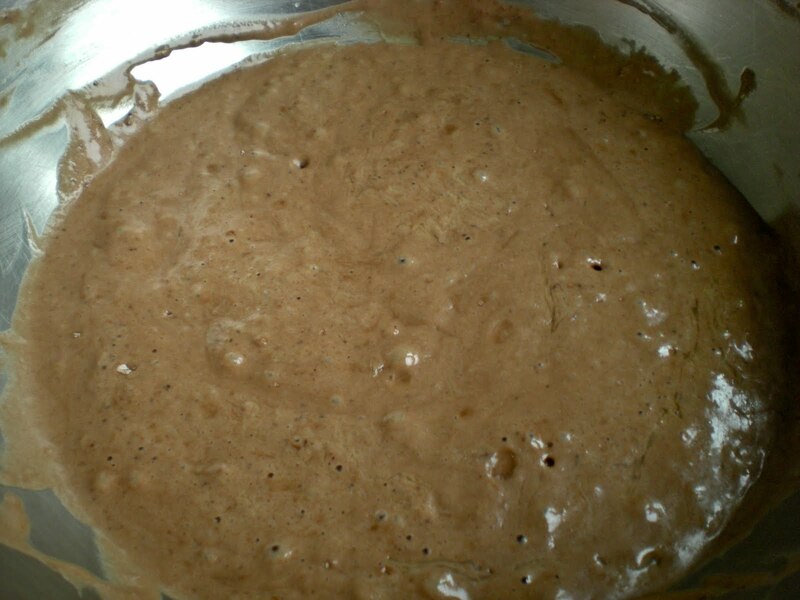 In a large bowl, beat egg and sugar until thick and pale. 3. In another large bowl, sift flour, cocoa, cream of tartar and salt together. 4. 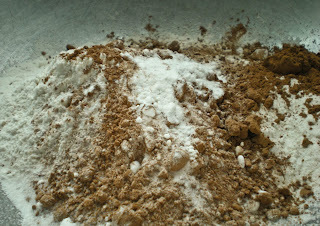 Alternatively fold in the dry ingredients and milk/baking soda into the beaten egg mixture until just combined. Lastly, fold in the melted margarine. Avoid overfolding the batter. 5. Heat skillet over medium heat. Lightly grease with margarine and drop by large tablespoonfuls onto the hot skillet. Cook batter until bubbles appear on the surface. Flip and cook until golden brown, about 1 min. 6. Serve with jam and/or whipped cream. This sounds and looks good! I've never had pancakes with cocoa, but it's such a good idea, thanks for sharing :). In terms of your comment, thats great that you are coming to the UK! this is lovely Victor and unsweetened fits our diet at home. Thanks for the tips on how to get it fluffy. I am impressed!Never heard of these before. 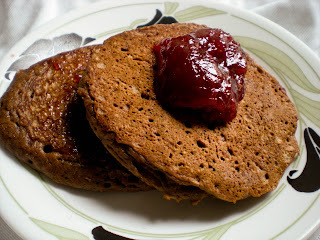 Your pikelets looks delicious! The only pikelets I've had before were the ones my sister made after learning to make them at school...haha :D They tasted pretty much the same as the pancakes I usually make :) I didn't know that cream of tartar activates baking soda either! The only thing I ever used it for was for stabilising egg whites, or to make play dough :D I'll have to try adding it to my pancake/pikelet batters next time! This is new to me, but sound good to serve this in a lovely morning. Thanks for sharing. They look delicious. I do enjoy less sweet pancakes so I think I would like these! Never heard of pickelets before but I like the idea of them being unsweetened. Yours look perfect! chocolate pancake looks awesome delicious. Cream of tartar has a use outside of meringue? Who knew?! I wasn't familiar with pikelets at all, but then again, I was raised in a family that made crepes rather than pancakes. I do like a nice, fluffy pancake like the one you describe, though. Great picture, by the way! I am so happy that you stopped by to have Quiche with me today. I am so glad that I came home with you to try your Pikelets. These look like a very special breakfast or brunch treat. I have them on my "to cook" list. Hope you will come back to see me, I will be back to see you. Have a very special week end! Pikelets looks amazingly fluffy and soft.. Thanks for the tips.. This is exactly ,, how my pancake should be... u know it was like ,somebody was reading my mind.. super ! These are totally new to me! Thanks for sharing the information about cream of tartar. 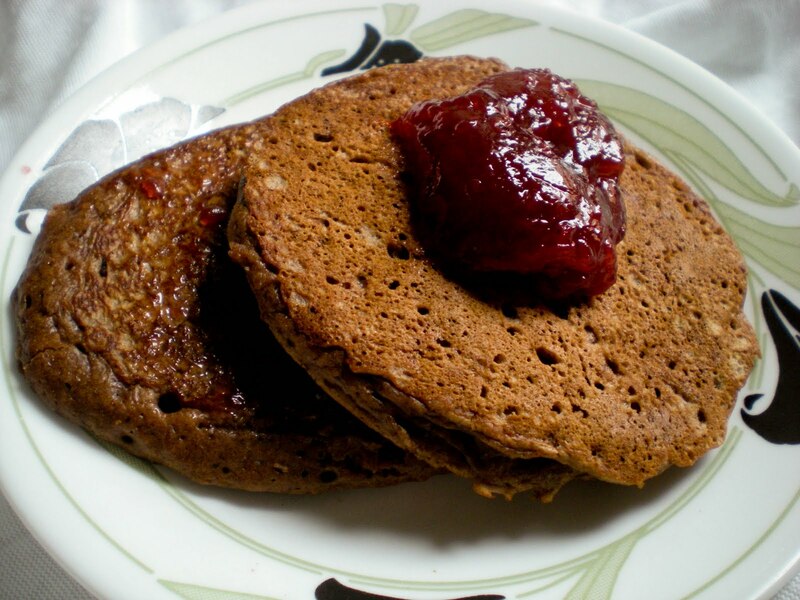 The pikelets look amazing, I bet they are a melt-in-your-mouth delicious treat! I am going to make some for dinner! I have such a hard time EASILY finding cream of tartar here in Japan, so I have to buy it in bulk when I do find it. These pikelets look so delicious! Thanks for the great tip on the cream of tartar! Great pictures, Victor. I make pancakes every Sunday for my wife and I. Yours are very "scientific".Check out my blog, won't you? hi victor, so the cream of tartar here helps to achieve more fluffiness? yeah, 2 tsps seems quite a lot, can i know will the cream of tartar affect the taste of these pancakes? Victor - I have never had anything like this. It looks so wonderfully dense and chocolatey - everything I love. I hope spring came to you today. It seems to be in MN. For now. Victor, the name is exotic and looks exotic as well. Thanks for the tips on cream o tartar for stabilizing the egg whites. Wow- these sounds delightful- will bookmark the recipe! Those pikelets looks absolutely divine and inviting.. Your pikelets looks so good. I have never tried pikelets before, and you make it sound so interesting! Thanks for sharing! Very interesting post! I recently made lace crêpes and they were gone so fast, I realized that I need to make more and this is a perfect recipe to start with! Those look so tasty! I pretty much love anything with chocolate. Come by and check out my recipe for Amish Friendship Bread. My kids absolutely love it so we had to ban it from our house for a while. I've never heard of pikelets before now. I admit that I'm rather attached to my own pancake recipe; but I think I'll try yours, just because I can't resist seeing how different they might be. Thanks!